Heat oven to 350°F. Butter 15-cup fluted tube cake pan. Place granulated sugar in resealable food-storage plastic bag. Separate dough from all cans into 15 rolls. Cut each roll into quarters to make 60 pieces. 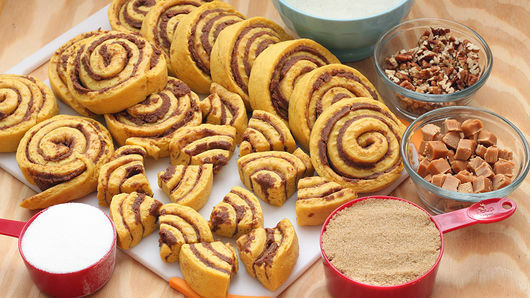 Place about 15 roll pieces in bag with sugar; shake to coat. Arrange pieces in pan. 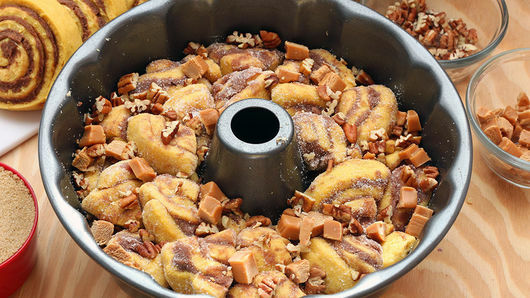 Top with one-third of chopped caramels and pecans. Repeat layers ending with roll pieces. In microwavable bowl, microwave butter on High until melted. Stir in brown sugar. Pour over roll pieces. Bake 40 to 45 minutes. Remove from oven to cooling rack. Cool in pan 15 to 20 minutes. Place cooling rack upside down over pan; turn rack and pan over. Remove pan. Spoon icing into small microwavable bowl. Microwave on High a few seconds or until icing can be poured. 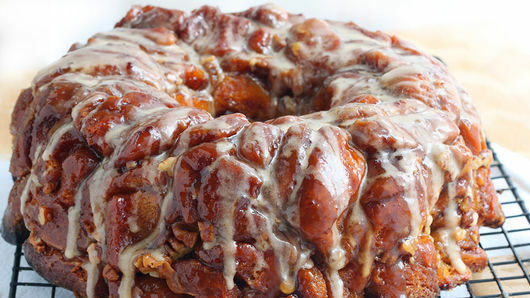 Pour over monkey bread. To serve, pull apart pieces of bread. 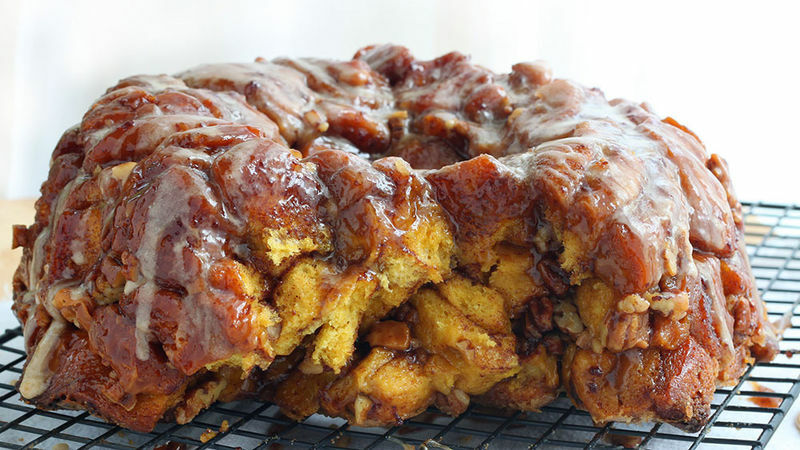 For a year-round version of this ooey gooey monkey bread, you can use Pillsbury™ Grands!™ refrigerated cinnamon rolls with icing. 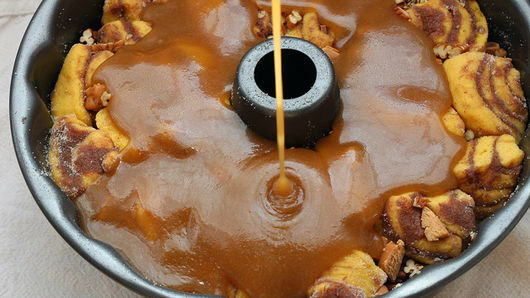 Chocolate chunks or chips could be used instead or in addition to the caramel pieces.